No problem could be found with the appliance. Of course, no noise occurred while Victor was here. His inspection could find no probllem with the compressor nor fan. I was pleased with his friendliness and his knowledge. First I was reschedule because the technician said he needed a part he had to order. He made this decision without coming to my home and inspecting my stove. Then, the technician that came said I had to switch my electric panel off and on next time it gets stuck. Really? Who wants to fix their applicance by doing that every time? What happened to the part the technician said he “needed” to replace? Sounds like a bunch of lazy technicians to me. Waste my time taking 2 days off of work - UNPAID!!! So disappointed with your service. Unprofessional to say the least. No words, justa GREAT service ! DISHWASHER KITCHENAID KDTE104DSS1 "replaced sump assy with faulty wash motor with no movement, ran thru test working ok."
DISHWASHER KITCHENAID n/a "found no wash motor movement causing not cleaning issue, needs sump assy & main cntrl replaced; ordrng 1 W10854215 (cntrl-elec) and 1 WPW10605057 (pump and motor assy)"
WASHER WHIRLPOOL WFW3090GW0 "control lock was in on position not allowing cust to use washer, removed child lock unit working ok."
DISHWASHER WHIRLPOOL KDPE234GPS0 "found wash motor jammed up not moving spray arms, freed up wash motor ran test in diagnostics, working ok."
DRYER WHIRLPOOL GGW9868KQ1 "cust says dryer display lights up when not in use, has to unplug to work again, advised cust possible power serge or dispay board issue, parts no longer avalible to replace, cust is ok with dryer, no fire hazzard concern." WASHER MAYTAG MVWX655DW0 "found unit stuck in pump out mode fault, removed fault recalibrated working ok."
DISHWASHER AMANA ADB1400AGB1 checked operation through automatic test cycle. heater turning on ok. advised on tilting cups/glasses to side. leaving door closed after cycle to help dry and then cracking door open and use on rinse agent. REFRIGERATOR WHIRLPOOL WRS555SIHZ replaced door and tested for correct operation. MICROWAVE WHIRLPOOL MH2175XSS5 f6.. bad relay on board. board discontinued. REFRIGERATOR WHIRLPOOL GAFZ21XXRK00 "no unusual noises, thermostat doesn't turn unit off i showed to male." RANGE WHIRLPOOL WEG750H0HZ customer had power outage. then when power came back on. unit started working ok. did a factory reset and checked for correct operaion of touch screen and heat cycles. checked all burners. DISHWASHER JENN-AIR JDB9200CWP2 "i put it on test mode, dishwasher working propertly, i showed to male and female about the drain line is connect to drain pipe under the sink i explained it suppost to be connected to air gap, any time they fill the ink water will go to the dishwasher he said they never put water on that side. they didn't like that i didn't replace nothing., but nothing is wrong." REFRIGERATOR KITCHENAID KSC24C8EYY02 "moist at divided, i explained to female to disconnect unit for few days with doors open to defrost the divider." DISHWASHER WHIRLPOOL KDPE234GPS0 "found bottom wash arm detached from mount reattached arm, ran test working ok."
WASHER WHIRLPOOL MVWB800VU0 "found sever water leak from seal & bearing & damage to motor assy, called assurant not economicial to repair. 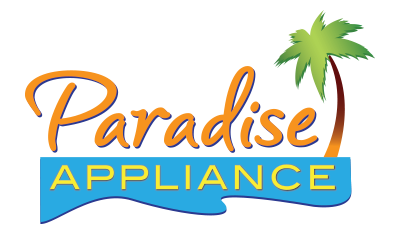 cust will be contacted in 2 to 3 days per rep."
REFRIGERATOR WHIRLPOOL ARS9167AS "evap fan not working replaced ckd working ok; ordrng 1 WP2315539 (motor-evap), used 1 WP2315539 (motor evap) from stock"
DISHWASHER MAYTAG MDB8959SBW2 "replaced faulty cntrl panel unit would not start, ran test working ok."